Find out why one man is making it his journey to bike over 1600 miles! Find out how you can participate in one of our mini 21 mile rides and show your support in bringing awareness to tragedy of Veterans Suicide. Find out about Veterans Suicide, or get help here! Find out how you can memorialize Veterans by adding their name here! Check out the full schedule with updates to the events! Find out how you can support the ride, by sponsorship or donation! Find information on The Highground Veterans Memorial Park! Check out the amazing photos along the way! Check out the Latest News happening around the ride! Heroes Ride 2019, Over 1700 Miles to Honor the Fallen, and the Missing. 1 Man, 1 Bike, will travel more than 1700 miles in remembrance of the more than 1700 lives that have either been Killed in Action, or are Missing in Action for Vietnam and all conflicts since. Shorter rides (21 miles) will be integrated for the public to bring awareness of the 21 veterans who commit suicide each day. The Heroes Ride is an event of The Highground Veterans Memorial Park located in Neillsville Wisconsin. The Highground is home to the Wisconsin Vietnam Veterans Memorial Tribute “Fragments” dedicated over 30 years ago. It was a ride similar to this ride that helped build support for The Highground in 1984 by Tom Miller our founder, and has been done one other time by Tom Kingsbury. 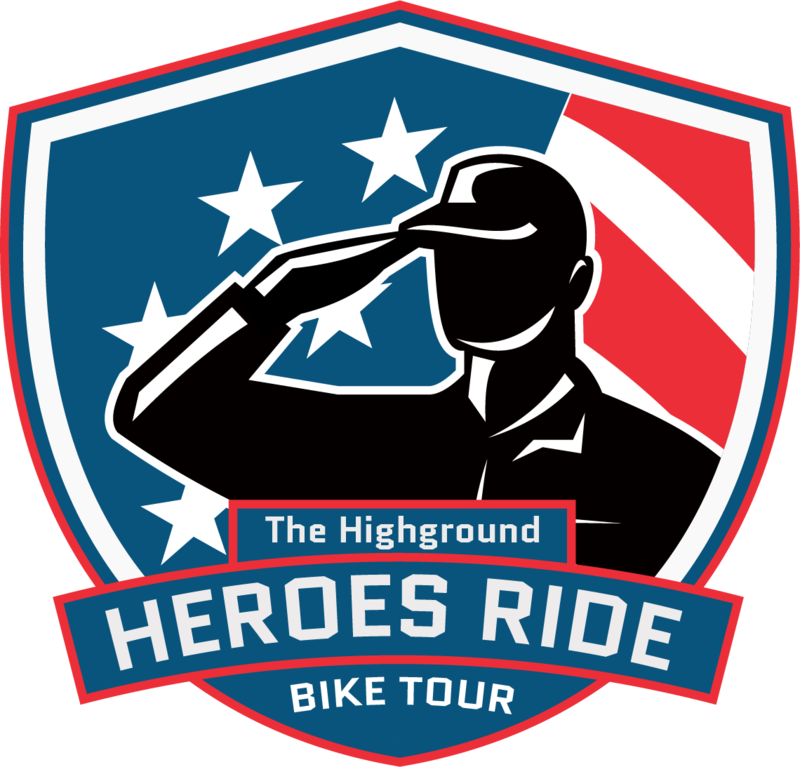 The Heroes Ride will consist of 20 stops, traveling across more than 1700 miles with events at each location. The mileage is significant, the miles have been set to cover more than 1700 miles of area. One for each one of the lives that were lost, or missing in action for Vietnam and all conflicts since. 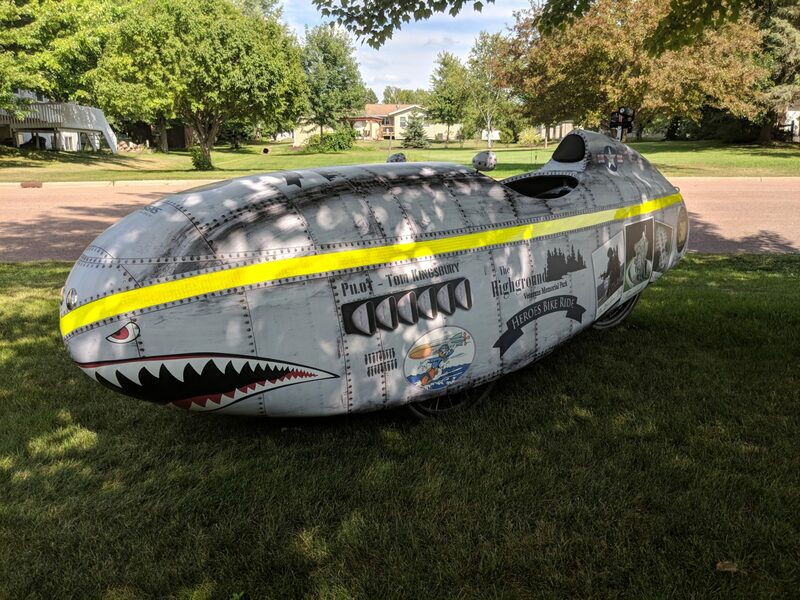 The ride will be completed by Tom Kingsbury in his recumbent bicycle with images of The Highground Veterans Memorial Park on the bike. We are working with community leaders from across the state to create or become part of events to bring the remembrance of these fallen soldiers, as well as the mission of The Highground, Honor, Educate and Heal across the state to Veterans, and their families. Sign up for our email news to get latest updates on news, event updates and more!